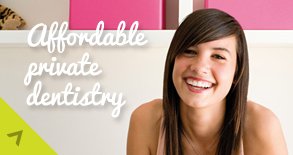 The charge you pay depends on the treatment you need to keep your mouth, gums and teeth healthy. You will only ever be asked to pay one charge for each complete course of treatment, even if you need to visit your dentist more than once to finish it – either Band 1, Band 2 or Band 3. If you have to be referred to another dentist for another, separate course of treatment, you can expect a second charge. 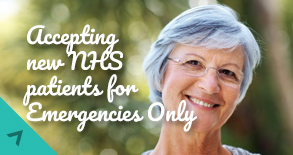 Some minor treatments, including having stitches removed or repair to dentures (if they can be mended), are free. You may be eligible for help with all or part of the costs of your NHS dental treatment. For further information on NHS dental services and dental charges, see the leaflet NHS dental services in England or the dental services section of the NHS Choices website (www.nhs.uk), or ask your local NHS Area Team for help. Our practice is covered by the ‘Hertfordshire and the South Midlands Area’ Team – Tel No: 0113 824 8686.